When I was a sophomore in high school, I had this friend. We met in photography class, and then again in guitar class. Our souls were kindred spirits. Among other commonalities, we shared a love of painting. Over the course of the school year, we would show each other our paintings, and critique them accordingly. She was so much better than I was. She went on to get a scholarship, for her talent, to the local university, and still to this day, continues to have a career in painting. After I moved, we kept in touch a little bit. During one of our conversations, we were reminiscing about our crazy high school days, and I mentioned how jealous I had always been of her painting skills. She scoffed and said, “You shouldn’t have been, I was crazy. I was just painting what I saw in my head.” After an awkward laugh, I asked what she meant, and she went on to say that she had been diagnosed with a few different mental illnesses over the last few years, and was on medication. I was shocked, but didn’t show it. I told her I was proud she had the courage to get help, and humorously asked if her painting had diminished since she had begun medication. After that conversation, I began to wonder: if my brain worked like hers, would I be a stellar artist? Would I really wish that upon myself? Six months after we moved, I remember having a really long talk with God. I was honest with Him, like Job was. My husband and I were scared we had made the wrong choice. It was a leap of faith after all, can’t those things go wrong? So my husband and I pleaded with God for many weeks. We pleaded with Him to show Himself faithful and true to His word. We asked Him to take care of us, to prove to us that we had made the right choice. After all, we had uprooted our entire life, everything we knew and everyone we loved, for this move. Age is a funny thing. 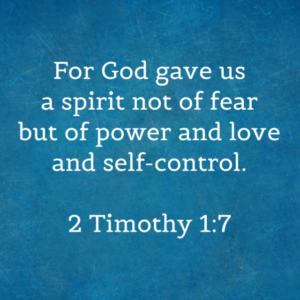 It has the power to make us feel powerful and important, or weak and incapable. Feeling “old” or “young” can have remarkable consequences for how we treat ourselves and others. Whether it’s the naivete of a teenager, the wisdom (or stodginess) of the retired, or the whirl-wind that is the “prime of life,” the world judges us by the number of years we’ve been alive. But it’s just a number, right? Well, I just turned 30. Honestly, I feel just how I thought I would feel. And nothing like I thought I would feel. You spend the first 5 years scared OUT OF YOUR MIND that you’ve been given this much control over another HUMAN BEING. And you spend the rest of your life watching what control you had, slip through your fingers like sand. Whatever her reasoning, it seems that she knew what needed to be done and did it. She didn’t over-think it. She didn’t pause. She was fearless. That’s how I would describe her: fearless.